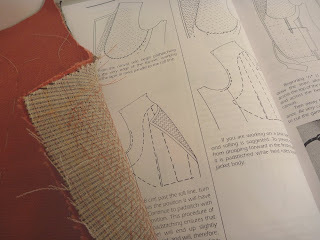 I'm sure no one is crazy enough to be sewing along with me, but if you have the Cabrera book there is a huge error (or at least an area of potential confusion) on page 117! BEWARE! This is the beginning page of "The Lining". Of course he has you toss out any patterns you might have and start from square one. Using the existing back, side and front pattern pieces one adds extra fabric pretty much all around. The glitch comes with the front lining piece which must overlap the front facing. The illustration indicates just the 1/2" overlap. To make this happen, however, one must add at least an extra inch. In fact, there's no reason to add even more and then trim off the excess at the sides and armscye. Alas, I added only 1/2". To make things even worse, I put in a double piping chest pocket, which probably took at least an hour to make. In the end the whole mess was too small. There was no room for a seam allowance at the side seam. Back to the drawing board after considerable swearing. 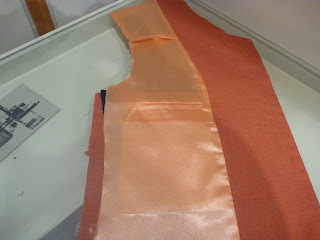 Oh, and did I mention how much I hate working with poly acetate lining material. We all know the feeling. You're dutifully following the instructions and then things start to get a little crazy. 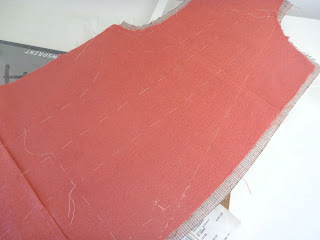 The coat fronts are moving along nicely, and then Mr. Cabrera tells me to throw out the facing pattern that comes with the pattern, and just wing my own. Oh man, this is the slippery slope. Do you play it safe, or proceed into the unknown? I decided to trust the man and draft my own front facing. 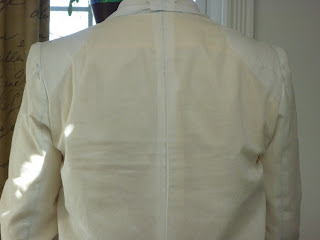 This is a critical component of the jacket since it becomes the outside lapel. The front edge of the facing is cut perfectly straight on grain, and then steamed and pressed into a gentle arc to match the front of the jacket. If one was using a striped fabric, the stripes would be perfectly parallel to the edge of the lapel. Makes sense. Once the facing is sewn to the jacket front, the seams are trimmed, pressed open and hand sewn back onto the twill taping. This controls the bulk at the point of the lapel and at the curve at the bottom of the jacket front. With the facing attached I breath a sigh of relief. Nothing is screwed up.........yet. OK, moving along. 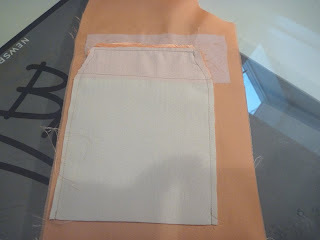 The next step is to pad stitch the lapel area. I was really dreading this for some reason, but it wasn't difficult at all. I think all the practice on the plastron paid off. 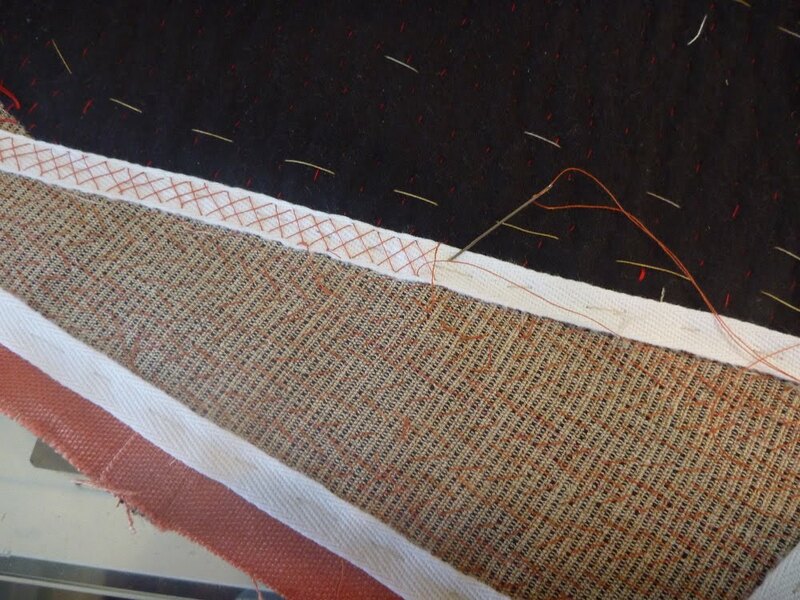 The pad stitching begins along the roll line in parallel lines. 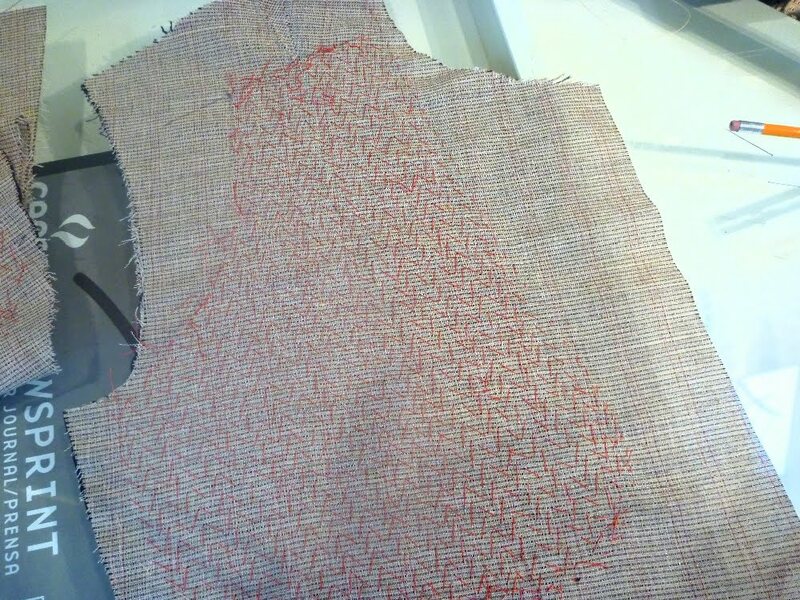 This time, however, the pick stitches will be on the fashion fabric, so an attempt must be made to make them as small as possible. Fear not, it's not hard to do. Plus the stitches will be on the back side of the lapel. 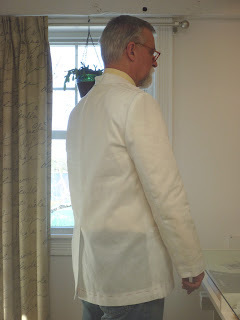 After a few rows, maybe an inch into it, the lapel is rolled over into the position it will take on the jacket. Holding the lapel in position the pad stitching continues in rows until reaching the seam allowance. The lapel will now have a natural tendency to roll towards the body when the jacket is worn. Magic! The seam allowances of the canvas must now be gingerly cut off. Talk about nerve wracking. One slip of the shears and hours of handstitching are down the drain. Once trimmed, 3/8" twill tape is hand sewn onto the canvas at the seamlines. 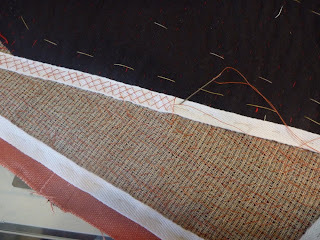 A strip is also placed next to the roll line and cross stitched into place. There's a whole lot of zen going on here. I've cut out the jacket fronts and back. Each front is made up of 3 sections with horizontal pockets. I'm a little concerned that the pockets might want to sag, so I've inserted a 1" strip of wool canvas at the top edge of each pocket. 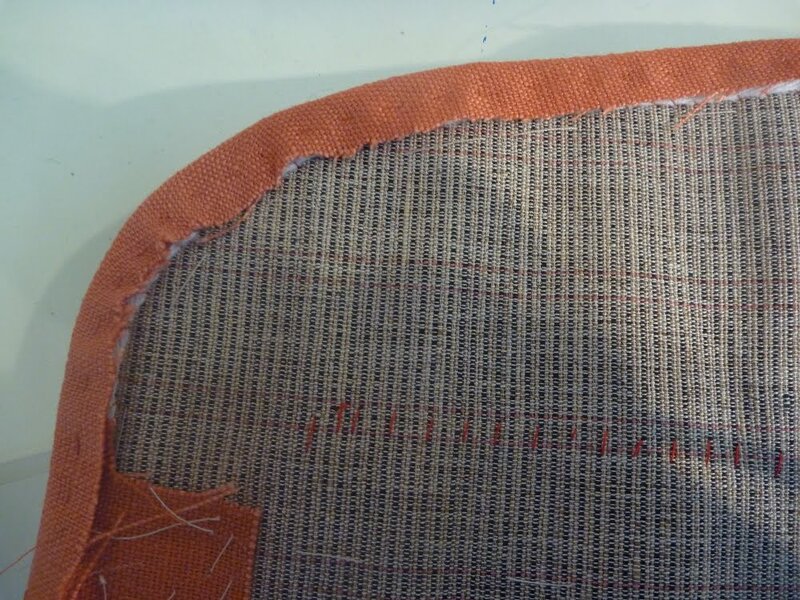 This is being held in place with pick stitching. I saw quite a few jackets with pick stitching on my most recent trip to NYC. 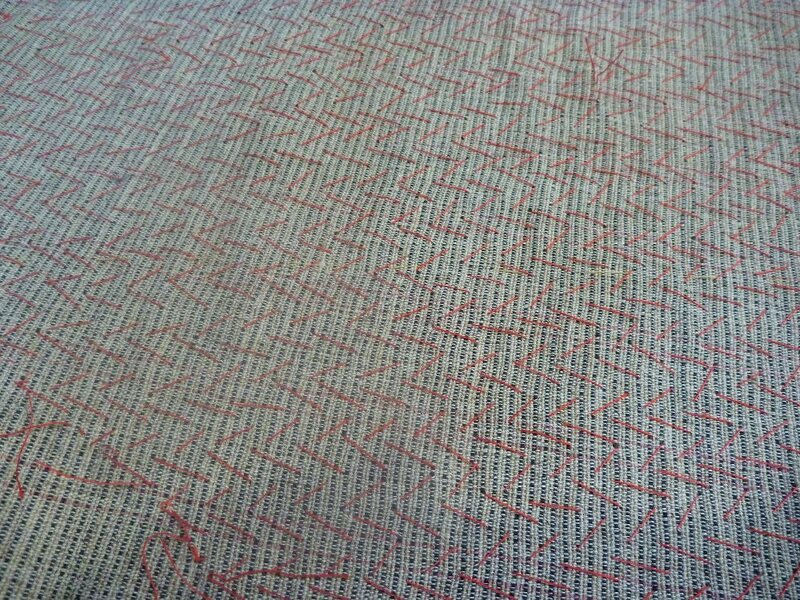 My fabric is quite coarse so the effect is very subtle. It would be more pronounced on a finer fabric. There is a good tutorial by Kenneth King that can be found online. 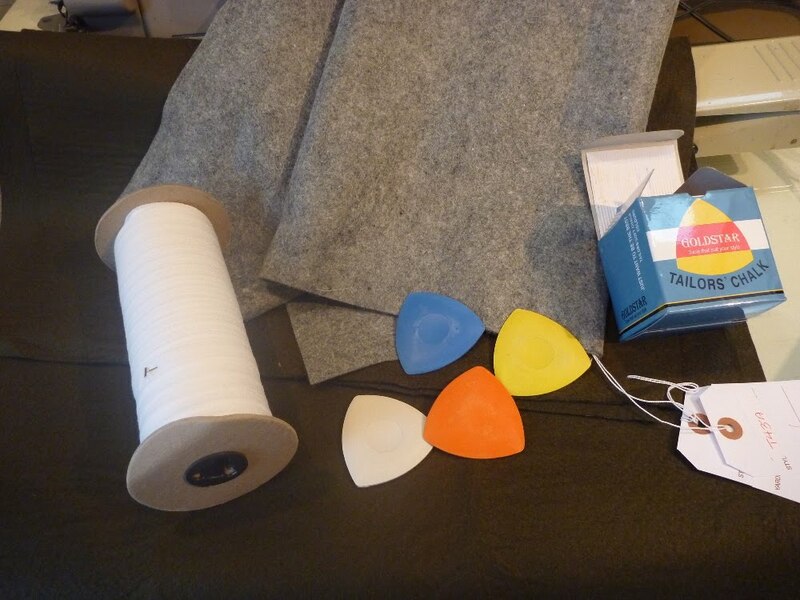 To keep the stitching straight he suggests using a strip of low tack masking tape. It really couldn't be easier. I used 2 strands of embroidery floss. The jacket fronts are then placed onto the canvas. 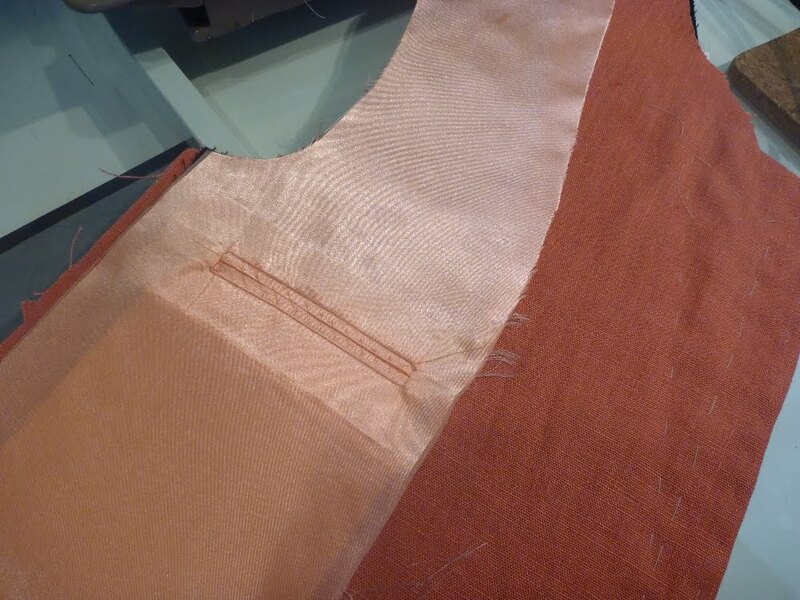 The lapel roll lines should be aligned and there should be a 1/2" margin of canvas visible around fashion fabric. Once things are in position the the whole thing is systematically basted together. 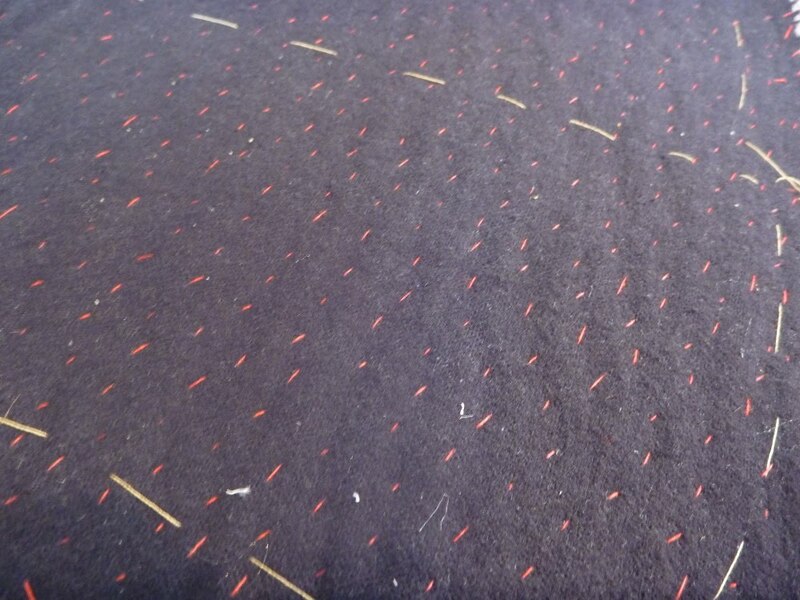 There are 8 specific stitchlines done in an ordered sequence. 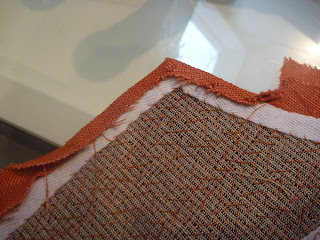 While basting, one is smoothing the fabric ahead of the basting stitches. It's very rewarding to see things coming together. The basting lines are positioned so that the jacket fabric can be folded back. 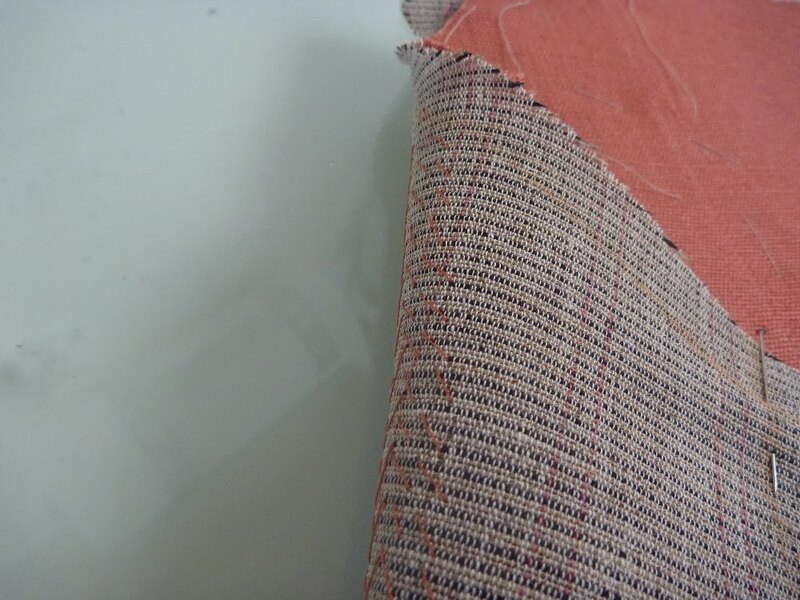 This reveals the edges of the pockets, which are diagonally stitched to the canvas. Let's take a break before round 2 of pad stitching begins! Thank God for the internet! Living here on the coast of Maine isn't ideal when I'm looking for real tailoring supplies. I occasionally get to NYC, but even then can't always find what I need. When I picked up the "guts" of my sport coat at Steinlauf and Stoller, they only had one choice for undercollar melton. It was navy blue and already fused to French canvas. I passed. A Google search led me to B. Black and Sons, in LA. These guys don't do quilts! They were extremely helpful. My goodies arrived yesterday. Wool blend undercollar felt in gray and dark olive, 100 yards of 3/8" white cotton twill tape and a box of real tailors chalks, in colors no less! I can't wait to try it all out. Why are these guys on today's post? Because I bet none of them has ever pad stitched anything in their entire lives! Maybe I'm dead wrong, but after spending hours with a needle and thread it seems highly unlikely. Pad stitching is a method of joining multiple layers of fabric so that they act as one, while at the same time maintaining their individual characteristics. In short, it's the opposite of using fusibles. 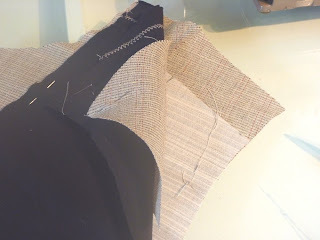 The layers of the plastron are pad stitched together in alternating rows of diagonal stitching. I used red thread in hopes that it would show up in my photos. Mr. Cabrera is very reassuring about this whole process. None of this is visible in the finished jacket. He suggests stitches of about 3/8" but discourages too much fussing. "DO NOT spend time measuring your stitches. Just get a general sense of the size, and proceed." I love this kind of direction! The outside of the canvas ends up covered with rows of diagonal stitches. 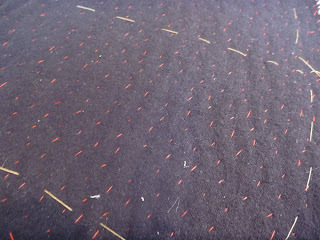 The inside flannel becomes peppered with small stitches. I tried to do this as loosely as possible so as to not make bulky ridges between the rows. I still ended up with a ridged effect, but I'm not going to agonize over it. I loved every bit of this process. 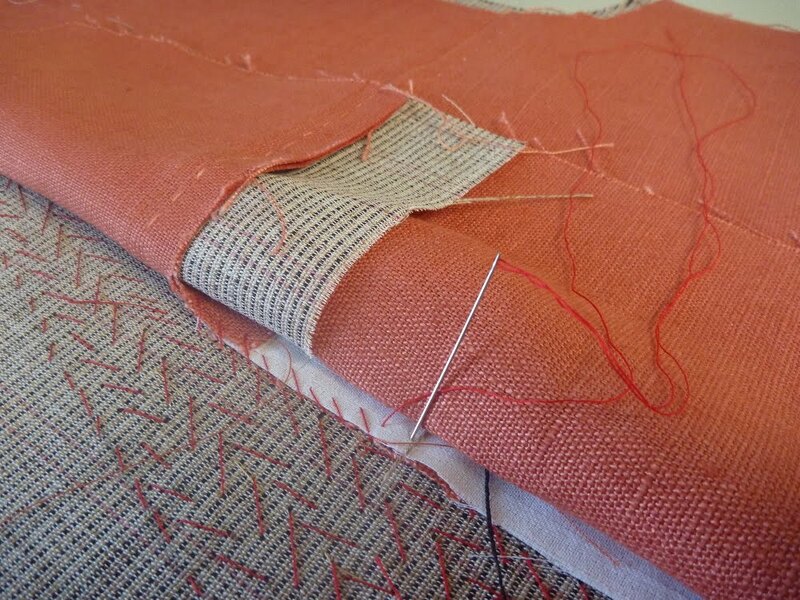 At times, I think I enjoy hand sewing more than running things through the sewing machine. 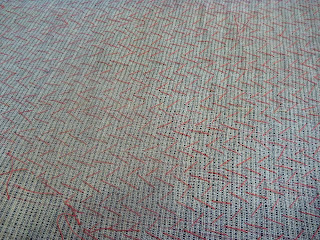 There's just a certain "connectedness" to the fabric that I enjoy. Plus I feel connected to the entire history of garment construction as both utility and art. Turn on the radio, or put on a LONG opera and pad stitch away. After a gentle pressing the canvas will be basted to the jacket front. Oh Boy! My linen has been renamed a "tablecloth" by the cleaners, and it will be ready in about a week. In the meantime I'm moving forward by "preparing the canvas." Canvas is the name given to the understructure of the jacket. It's composed of layers of different interfacings intended to give the jacket shape and also reduce wrinkling and stretching. The process is described step by step by Mr. Cabrera. 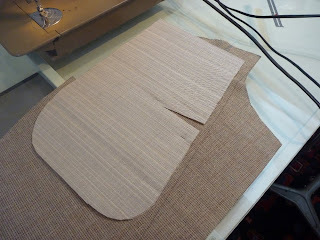 A base of wool canvas is cut 1/2" larger than the jacket front piece. A piece of hair canvas is cut to a specific shape and placed over the upper chest. This is known as the "plastron" or shield. Over this is layered a bias strip of French canvas. 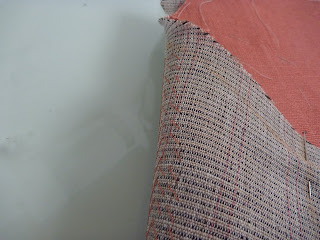 My French canvas from Steinlauf & Stoller is a fusible, so I substituted another layer of wool canvas. The whole mess is then covered with cotton flannel and basted into place. Of course, it's possible to buy a ready made jacket front for about $10, but to have something custom made is completely intoxicating. I loved every bit of this process (even though I totally screwed up my first attempt!) The next step is pad stitching the plastron into place, and that deserves a post of its own. Here are some shots of Muslin #2. I've made several small changes, and I think things are looking good so far. 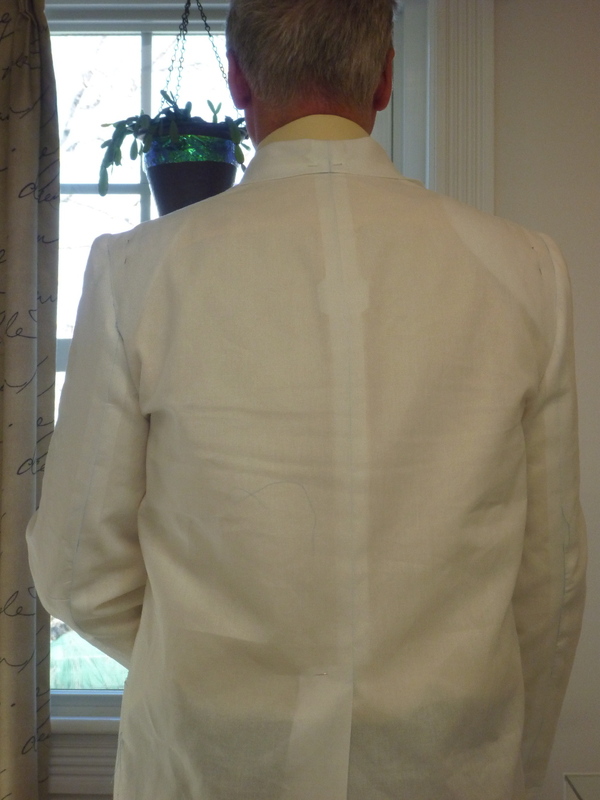 I lowered the buttons by 1.5 inches which allowed me to adjust / lengthen the lapel roll line. The Cabrera book makes these kinds of adjustments very clear. It helps me to have some "rules" to follow. In this case the rule is that the roll line begins 5/8" above the top button. Nice and clear (complete with illustration). 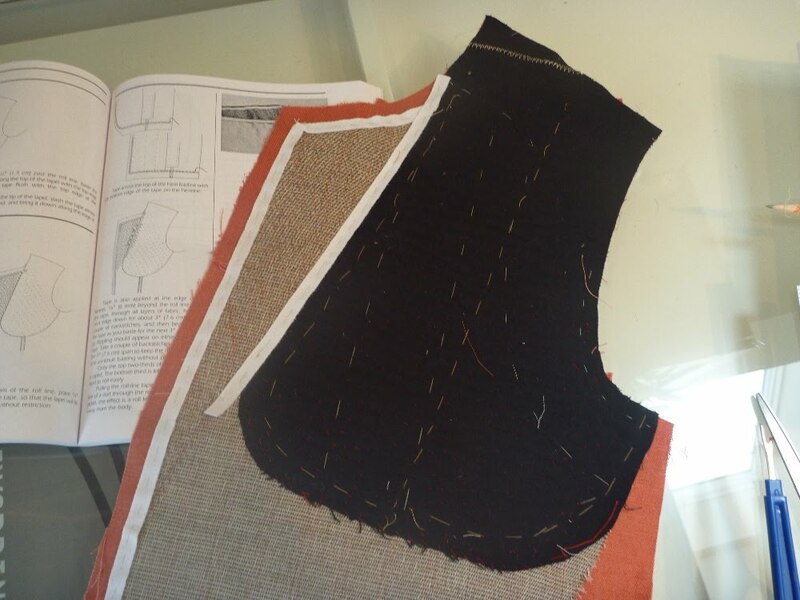 In addition to rules, however, he also encourages the tailor to make changes to the pattern. "None of this is gospel. Use your eye and trust your judgment. If necessary, lengthen or shorten the jacket according to your pattern instructions, and then make what ever style adjustments you think best." 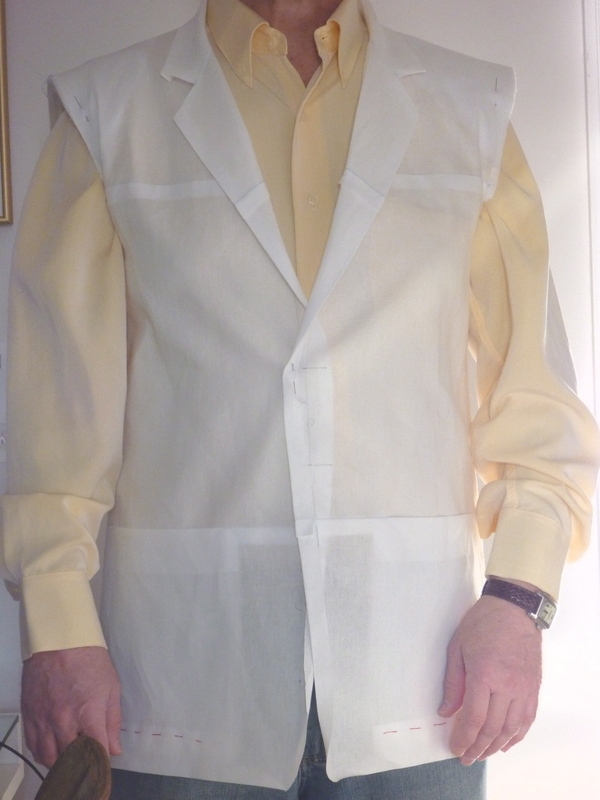 Encouraged thusly, I widened the lapels by 1/4", added an extra inch around the chest from the waist to the underarm and shortened the neck opening by 1/2". The sleeves, I think, are still a touch too long. I'm also concerned about the bunching on the back from below the armscye. I haven't trimmed the bottom of that seam, which may or may not be contributing to the problem. 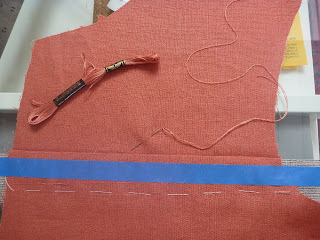 I'm actually deviating from Cabrera here because he doesn't include sleeves in the muslin fitting. The body of the muslin jacket is adjusted, if necessary, and the shoulder width is checked. Then he moves directly to the fashion fabric. 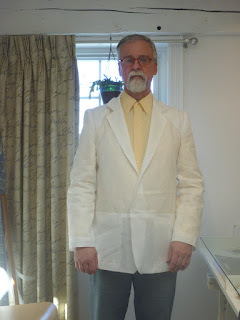 The jacket, complete with its interfacings, pockets, shoulder pads etc., is basted together for its first fitting and additional adjustments. 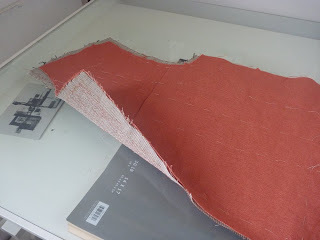 Once everything looks right, the sleeves are drafted to fit the jacket. All of this seems a bit overwhelming right now. It may be WAY beyond my ability. For now, I'm just planning on extra wide seam allowances and hoping that the linen's weight will hang better than the cheap muslin. I'll confess up front that I don't own very many books on sewing. 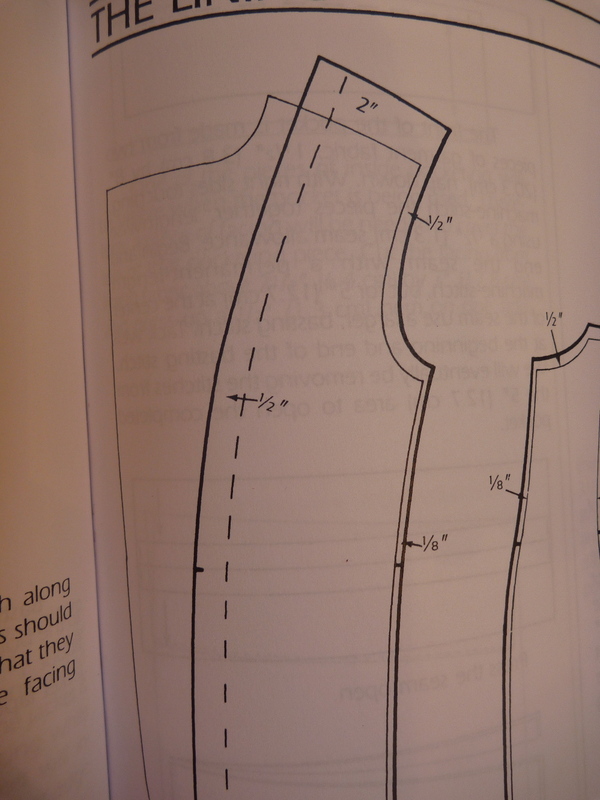 The Bishop Method of Clothing Construction has been a valuable friend, although I tremble that the ghost of Edna Bishop may suddenly appear and rap my knuckles with a french curve if I sew a seam in the wrong direction. 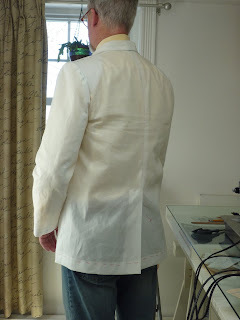 Participating in Peter's shirt sew-along, and the impending wedding have moved me out of my "outerwear mode". 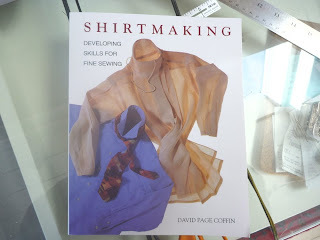 To prepare for my new projects I picked up both Shirtmaking by David Coffin and Classic Tailoring Techniques by Roberto Cabrera. Both books have the reputation as being the authority on their subjects. I'll start with shirtmaking and hope that David Page Coffin NEVER reads this blog. Readers, do you have any slightly OCD habits that you'd like to keep hidden from the world. Do you have trouble sleeping knowing that there are dirty dishes in the dishwasher? Can't leave the house if the bed isn't made? Maybe you have to set two alarms in case one fails? Trust me, you will feel completely normal after you delve into DPC's world of obsessive shirtmaking. To be fair, there is some great information here. There are templates for shirt plackets, cuffs, collars and stands. Gotta love that. 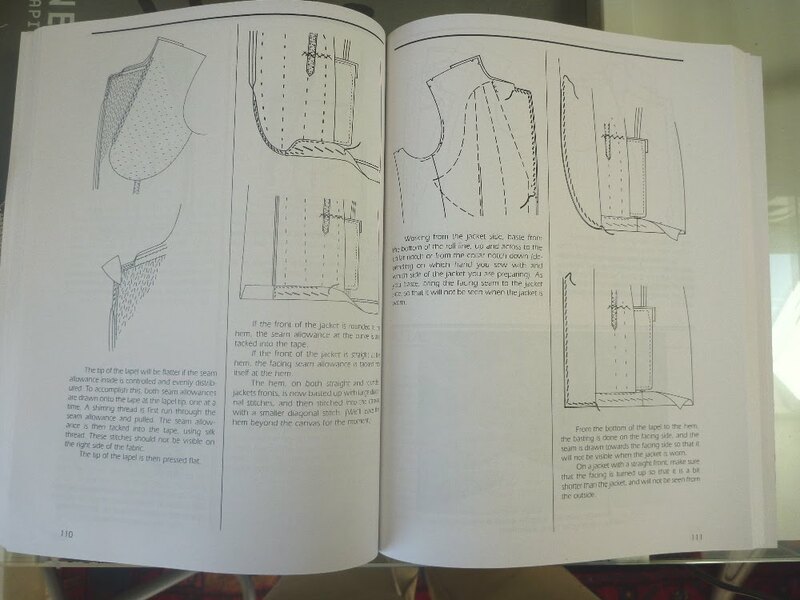 There's also a great design ideas chapter to help create your own unique shirts. 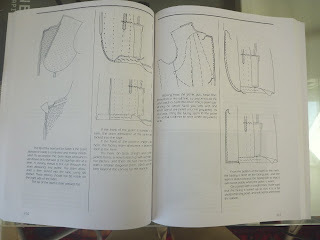 Much of the book, however, involves overly complicated construction techniques that will have you wanting to mix a pitcher of martinis before noon. He will convince you that a decent shirt can't possibly be sewn without a felling foot and a hem roller. I think the MPB sew-along proved this false about 100 times. You will also end up pulling, stretching, trimming and swearing for results, that in the long run, really aren't worth it. Personally, I've never been bothered by the amount of fabric in the seam where my shirt cuffs meet the placket. If you have, then by all means pick up this book. 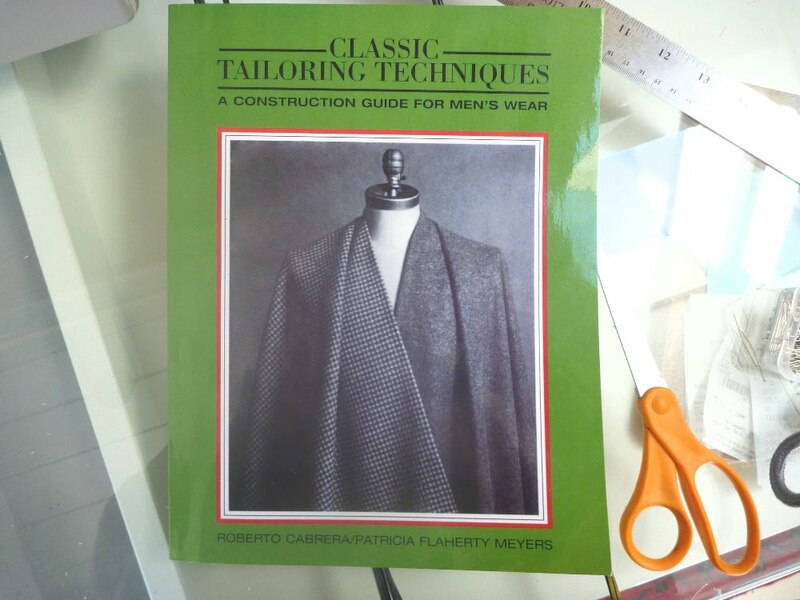 You will read plenty of glowing reviews on Amazon for Classic Tailoring Techniques by Roberto Cabrera. There is nothing flashy about this book. There are very few photos. 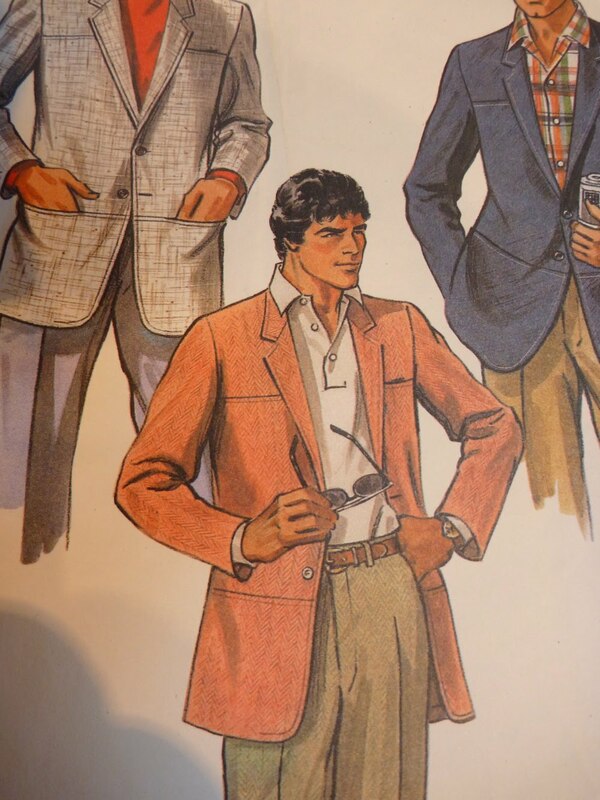 The model appears to be a fifteen year old prep school student from the '70's. Bizarre. There are, however, page after page of clear line drawings moving step by step through the construction process. This makes tackling something new much easier for me. No getting around it, there is a lot of very technical information here. But it seems to lack the fanatical tone of the Shirtmaking book. My experience with the shirt process has altered my approach to the jacket. There are just some features / techniques that really don't matter to me. 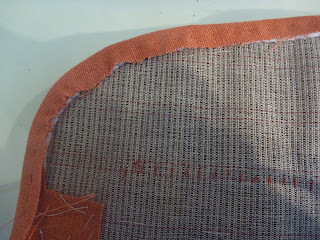 For example I don't intend to handstitch the front facing with barely visible stitches done in silk finishing thread. This is $8.50 / yd linen, not $250 / yard imported Italian cashmere. 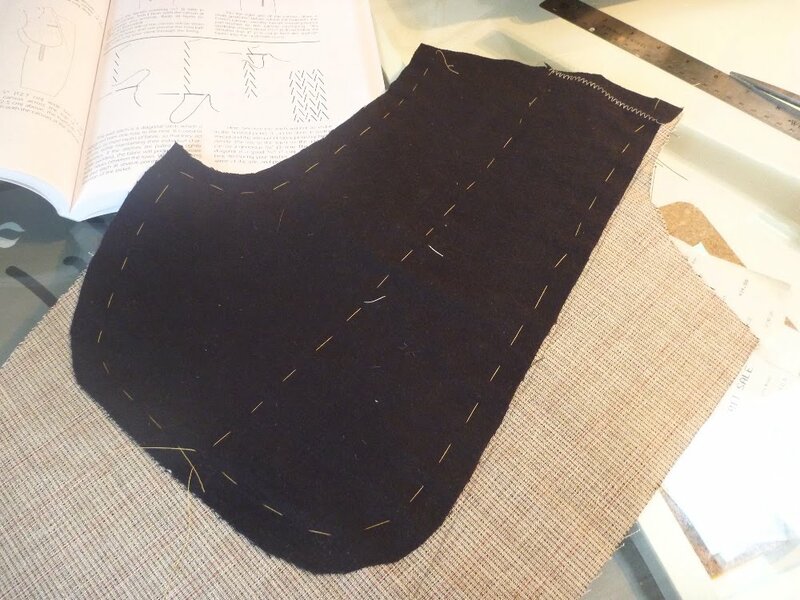 Do I need to drive myself crazy making a Barcelona inside chest pocket, or will a simple welt pocket a la Edna Bishop do the job? Books are a great resource, but following them slavishly has proven to take much of the joy out of my projects. I'm sure I'm not alone on this one. I'm following my usual procedures and transferring my pattern pieces to Swedish tracing paper. If you've never used it, I highly recommend it. Armed with a roll of scotch tape and some scraps one can adjust and alter with abandon! 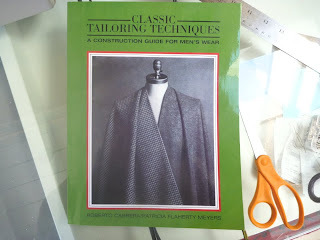 I'm also using the book Classic Tailoring Techniques by Roberto Cabrera. The book deserves an entire post of its own, so I won't go into many details here. So here's Muslin #1. This is a very simple pattern, almost too simple. I was drawn to the simple pockets and the lack of flaps and welts. But I miss other details like sleeve vents and a center back vent, so I plan on adding them with the help of Mr. Cabrera. 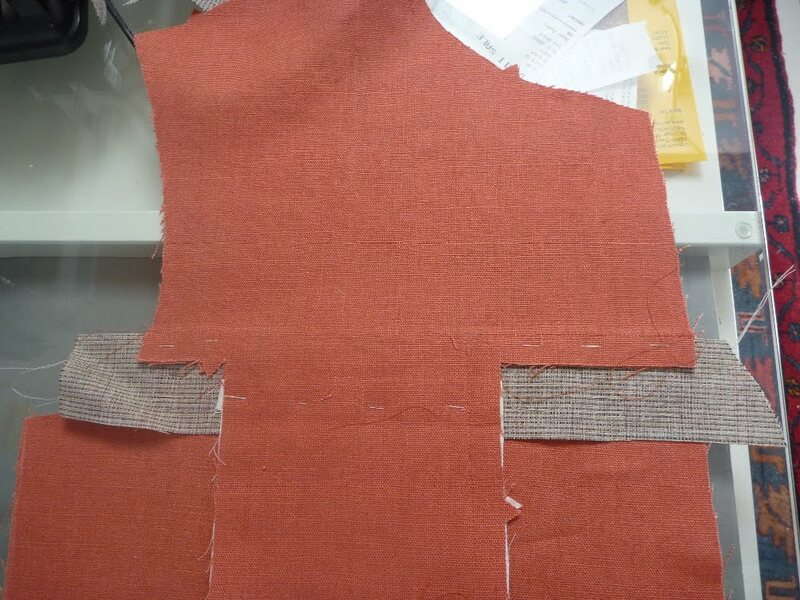 I've folded in the seam allowances on the lapels and collar, and also pressed along the roll line of the lapel. This helps me visualize the final product. I've also added a back center vent which the pattern lacks. The Cabrera book made this very simple. My initial take is that the buttons are set too high. By lowering them I can drop the roll line which would be more flattering for my body. I knew that the lapel would be narrow, but I'd also like to feel confident wearing this coat for several years. Cabrera suggests 3.25 inches as a "safe" lapel width. I'm going to increase the lapel width from 2.5 to 2.75. Narrow, but not crazy looking, I hope. It's not evident in the photos but the neck opening is too wide / loose. The collar pulls away from my shirt collar rather than resting up against it. This is an easy fix. 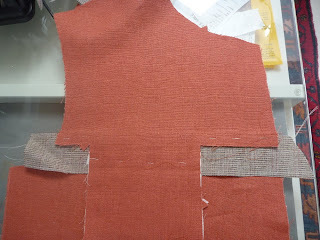 The collar is removed and a tuck is made at the center back seam to make the neckline more closely hug the body. 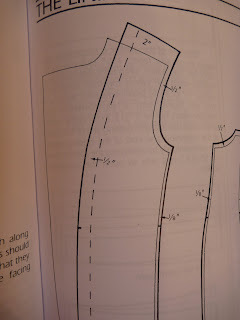 The back seamline is then tapered from the neckline down to the mid back. The undercollar will need to be adjusted to fit the smaller neck opening. Let the alterations begin. Muslin #1 is already being pulled apart. It didn't last long!